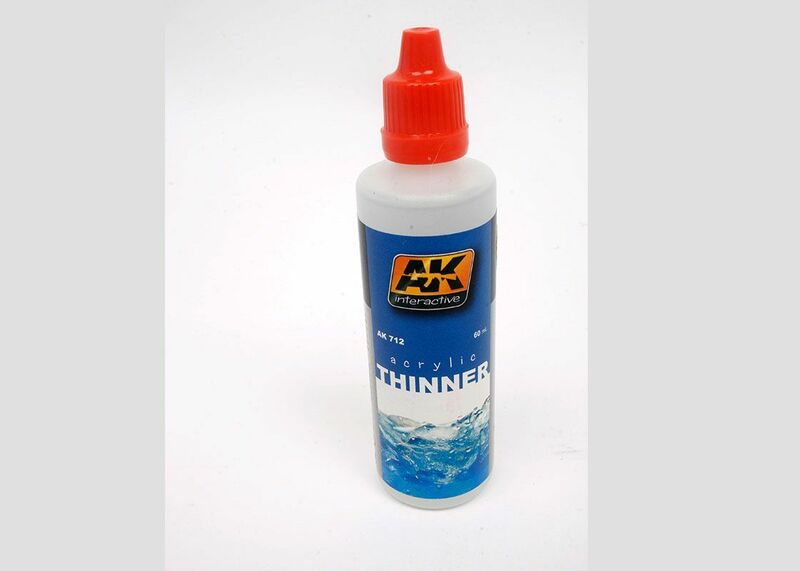 This 60ml bottle contains thinners that are specially formulated to work with their acrylic paints. It is designed to ease the flow of the paint with both airbrush and brush applications and with the former it will also help stop the fluid tip from clogging. This last point must mean that it includes a retardant, because that is the reason why most acrylics will bung up the nozzle, they just dry too fast on contact with the air. The eye dropper nozzle of this bottle means it is perfect for using straight into the paint cup, which should minimise waste. We will have a good test of this thinner whilst trying out their new Luftwaffe colours and once we have, we will add a little 'test report' to this initial review.